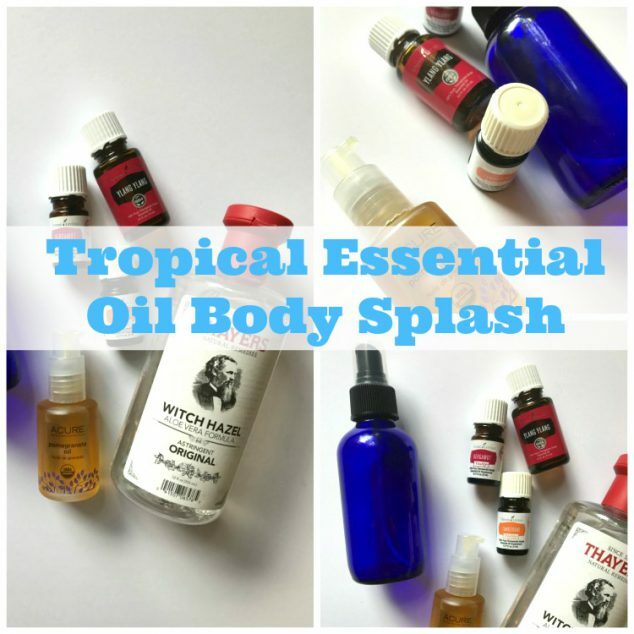 If you are gearing up for Summer and gathering up your body products for those hot Summer days, be sure to include this easy to make Tropical DIY Body Spray! This recipe is simple, all natural, and the scent is divine. The tropical oils in this recipe will leave your skin smelling like a tropical summer breeze. This would make a great gift for a friend too! 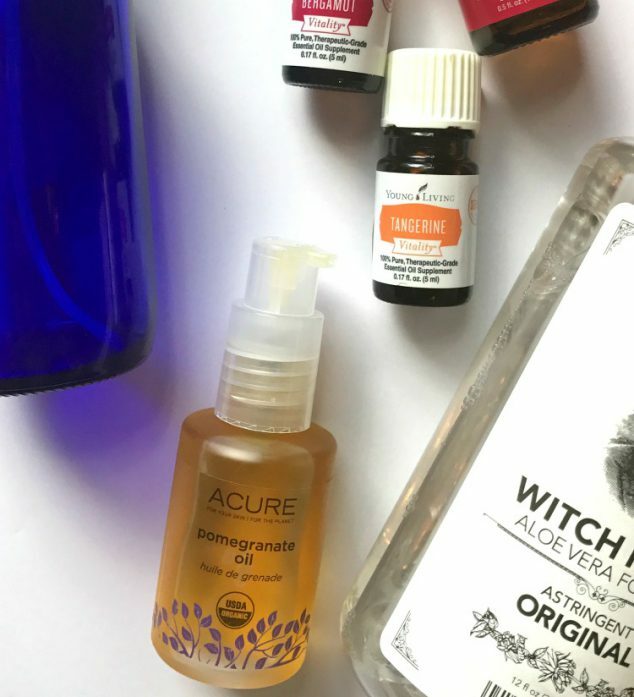 This essential oil body spray recipe is great for all skin types and contains all natural ingredients. 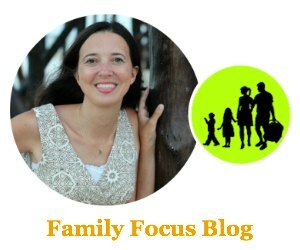 If you own essential oils already, it is always fun to try new essential oil recipes with them. If you don’t have essential oils already, they are worth the investment because you can use them in so many different ways. Gather your supplies and head to the kitchen counter. Start by adding 5 oz of Witch Hazel to your glass bottle. Next, grab your essential oils. Add 4 drops of Ylang Ylang, 6 drops of Bergamot and 6 drops of Tangerine. This ratio is for a light scent. If you’d like the scent of your Tropical Body Splash to be a bit stronger, add a few more drops of each of your essential oils. 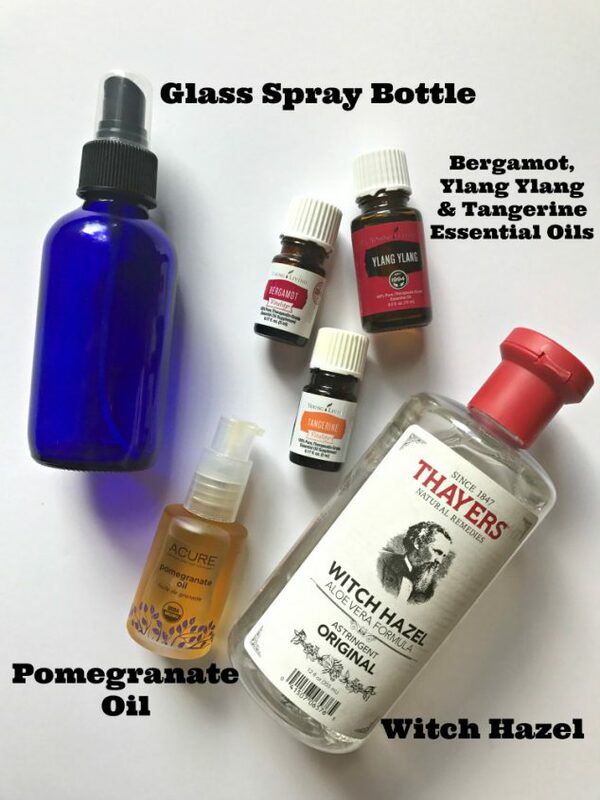 After you have added your witch hazel and essential oils, add a few drops of Pomegranate Oil. This is completely optional. I like adding a few drops of this oil because it is very moisturizing so along with your skin smelling summery, it will also have some added moisture from the Pomegranate Oil! Pomegranate actually has lots of amazing benefits such as fighting against free radicals and strong anti-inflammatory properties. Once you have added all your ingredients, screw the bottle top on, give your DIY body spray a gentle shake and spray away! I like to spray on neck and arms but you can spray it anywhere that you’d like! Does this DIY body spray recipe sound like something you could make this summer? If you give it a try, come back and let us know what you think of it!